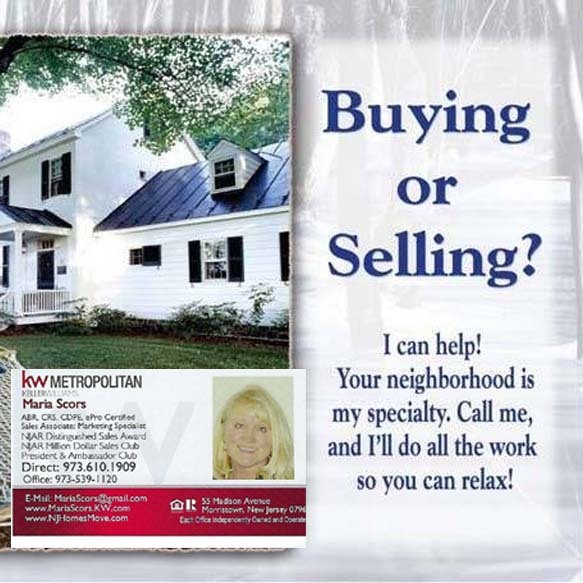 When it comes to New Jersey real estate-Maria Scors, Seattle real estate, and just about everywhere in between, sellers aren’t immune from paying for their mistakes, and buyers are far from forgiving. On average, home sellers commit up to five of these home-selling “sins” and lose thousands of dollars on their home sale as a result. The good news? All of these mistakes are easily avoidable — if you know how to identify them. 3. Refusing to remove your clutter and junk prior to the sale. Clutter eats equity and kills deals. With all that extra stuff in the way, homebuyers can’t see the home for its true potential, and the offer will reflect that. 4. Selling your house empty. While clutter is bad, selling an empty house makes buyers feel the same way — empty. They need to be able to visualize how the home looks with furniture and how functional it will be for their own family. 6. Not setting the stage for sale day. Remember: Buyers purchase with their hearts and not their heads. Create a showplace for your buyers on sale day (but don’t go overboard with music or too much potpourri). 7. Letting your ego get in the way when negotiating. Too many sellers become emotional while negotiating and lose out on creating a win-win deal. 9. Mistiming the sale for maximum tax benefits. Even one day can cost you tens of thousands in extra taxes. Don’t be left a day late and many dollars short. Face it: You can’t afford to lose money through neglect, indifference, or ignorance in the selling process. Keep these 10 “sins” in mind as you sell your own home for a clean home-selling process!